When you are working with Mainframe Systems, you are working with truly the major hardwares those have a few basic requirements- Speed, efficiency, accuracy and above all quality of inputs. If you are looking around for better quality, your computer support consultants and staff will be talking about terminal emulation as the simple option, and it is. Terminal emulation is basically using a PC as a Mainframe Systems terminal, and it is the best practice option by far. There is a history to this situation, and it worth understanding the issues in detail to understand the benefits of terminal emulation for the Mainframe Systems. At the very start of computerization, big computers used to use direct inputs through terminals on the Mainframe Systems. This was an almost mystic science, and by modern standards watching paint dry on a fence would be a comparatively exciting experience. This was neither quick, efficient, accurate nor can give guarantee of maintaining the quality. To illustrate this fact, 5% of all data entered, even by experts, is inaccurate, even today, without having to strain the data through secondary processes of binary numbers. When the first modern computers came along, things were not much better. In the pre-PC days of green screens and increasingly complex number crunching, the infamous ?debug syndrome? so beloved of modern code writers first came to notice as programs got bigger and the hard work got harder. Ironically, the Mainframe Systems themselves were getting much more powerful just as it was becoming obvious that the terminals are obsolete and never going to be able to keep up with demand for ever-increasingly more complex programs. Fortunately for the besieged code writers, their long-suffering sanity was about to be rescued by PCs and terminal emulation for the Mainframe Systems. Collaboration across the teams – The various issues related to running multiple programs together also means that meetings of the minds need to be able to happen in real time. Best practice in demanding areas of computing like architecture and construction CAD use collaboration on a routine basis to solve problems and keep an eye on quality. Management of Mainframe Systems – There is no part of operations of these big programs that do not need management, and PCs can do this on a dashboard basis, one screen. Debugging – Direct debugging straight off a PC, particularly one of the newer multicore PCs, is a breeze. Any other way, it is a ponderous, clumsy horror story of nitpicking code issues in multiple steps. Efficient, it never has been and never could be. There are many more operational benefits, but you get the idea. The PCs are way ahead of any other terminal operation options for the Mainframe Systems. A good example of terminal emulation is the ?Windows terminal emulator? approach. This simply means you can use any Windows PC or network of PCs to operate as terminals. The PCs can do everything directly using one system. This ?single stream? approach will be appreciated by business managers who have experienced the problems of multiple systems in their business operations. This is much the same thing, creating a good working single stream for all mainframe business operations. 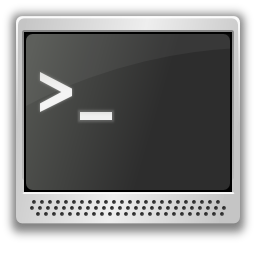 If you want efficiency for your Mainframe Systems, do check out the terminal emulators. You will be stunned at the difference in cost efficiency alone. This article has been written by Sachin, who has previously written many useful articles in this website, including Advantages of Host Based Windows Terminal in Mainframe Systems. This Article Has Been Shared 1413 Times! Cite this article as: Abhishek Ghosh, "Mainframe Systems and Terminal Emulation : Best Practices," in The Customize Windows, December 7, 2011, April 24, 2019, https://thecustomizewindows.com/2011/12/mainframe-systems-and-terminal-emulation-best-practices/.